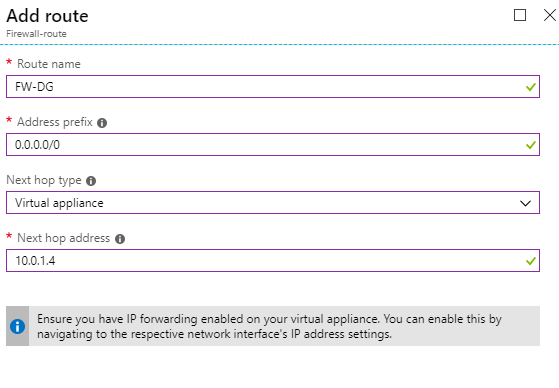 I wanted to be able to port forward my RDP connections to VMs in Azure. I have done this before on my local virtual lab environment using PFSense. In Azure I could deploy the open source PFSense from the marketplace but I thought I'd try it with the Azure Firewall instead because it supports source and destination Network Address Translation (SNAT and DNAT). 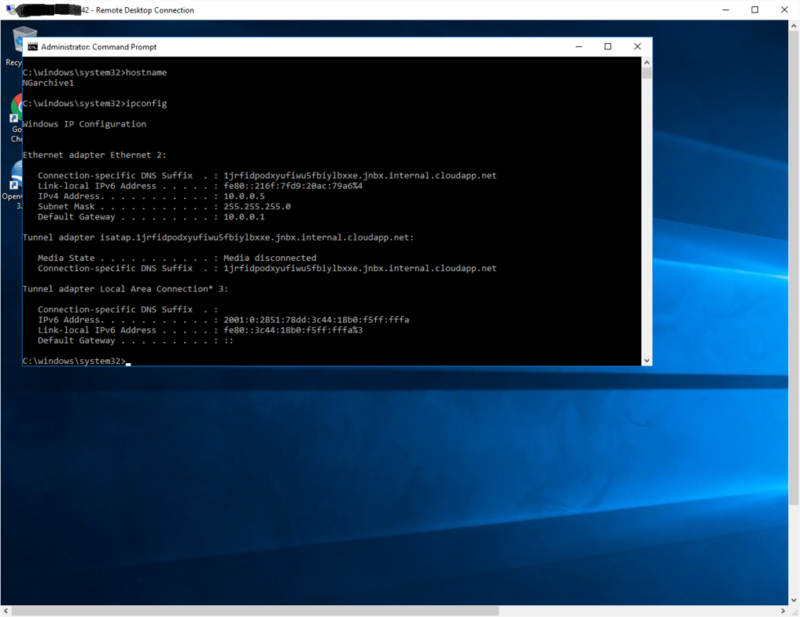 I wanted to be able to port forward my RDP connections to VMs in Azure. I have done this before on my local virtual lab environment using PFSense. In Azure I could deploy the open source PFSense from the marketplace but I thought I’d try it with the Azure Firewall instead because it supports source and destination Network Address Translation (SNAT and DNAT). 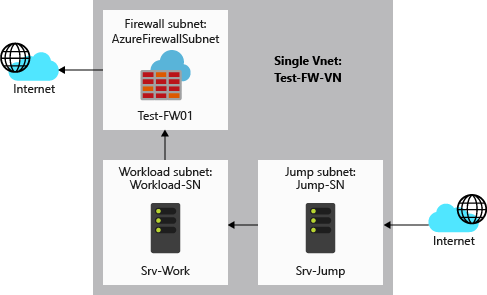 What capabilities are supported in Azure Firewall? 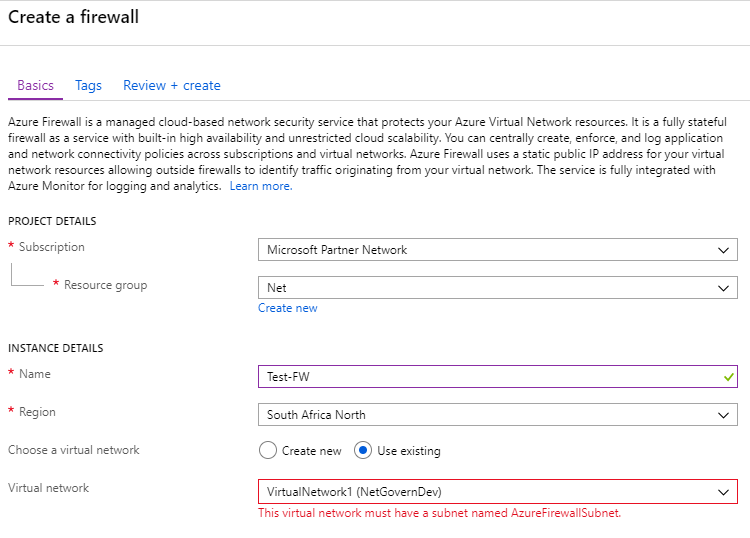 Pricing for Azure Firewall can be found here, but in my estimations and research it is R20/hour regardless of scale and you pay R 0.48/GB processed by the firewall. 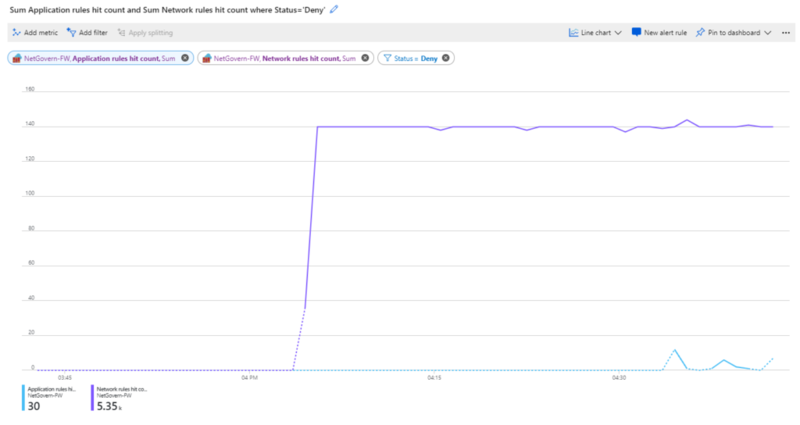 Then I needed to create a default route for the destination 0.0.0.0/0 which means all traffic. 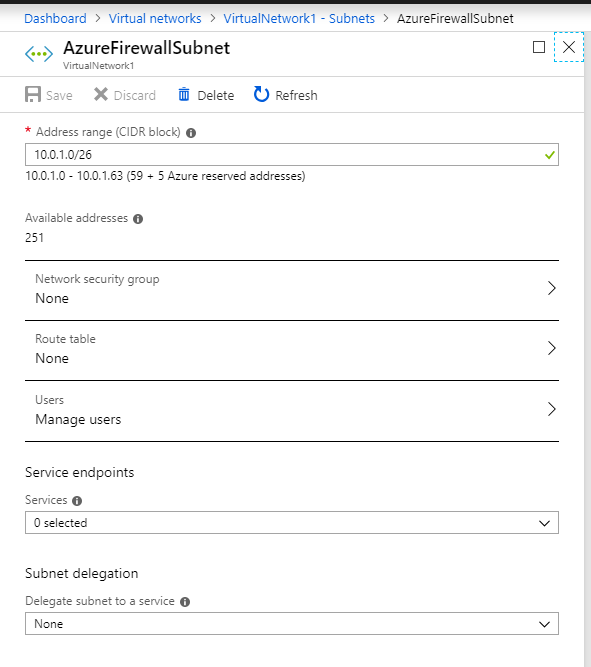 The next hop is a virtual appliance (Azure Firewall) and the IP address (internal) of the Azure Firewall after it was deployed. So in the Firewall under settings, rules. I created a new NAT rule collection. In the screenshot, I have purposefully obfuscated the destination address and destination ports, but the destination address is the Public IP (PIP) of my Azure Firewall and the destination port is a random number I chose that I could RDP or SSH to from my client. The translated address is the internal IP address of the VM and the translated port is the default port the RDP or SSH service is listening on within that VM. So 3389 for RDP and 22 for SSH. I combined the two rules (RDP and SSH) into one collection, because they are both remote administration protocols but you could have separate NAT collections for each protocol. A collection is a group of firewall rules that share the same order and priority. I also saved a RDP connection to the Public IP address of the firewall and the port chose in the destination RDP-Archive rule. 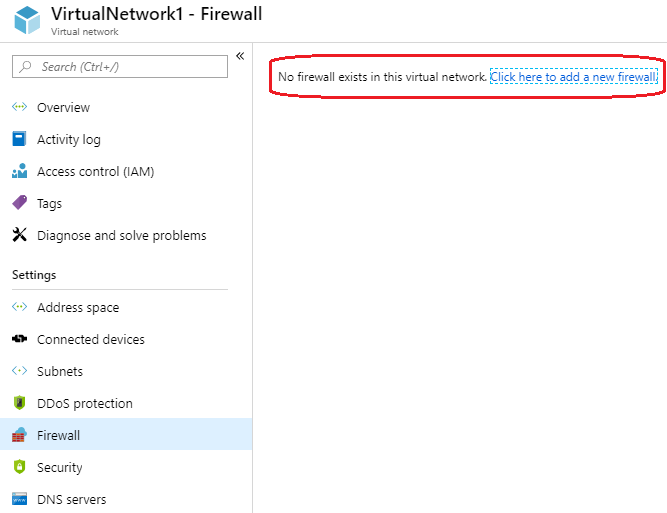 And I was able to RDP to my VM in Azure from my local machine with no VPN connection, only the PIP of the firewall and the port specified. The other thing I noticed was, I couldn’t browse to any internet site from the VM because I didn’t have any outbound rules on the firewall configured, but that I will leave for another blog post. Till next time, secure your infrastructure with an Azure Firewall.